Founded in 2011 by owner Matthew Gionet and based out of Campbell River, BC, Canada, EarWorm Sound and their team have successfully delivered a variety of professional sound editing services including audio post production for TV, film, web, documentaries and video games, as well as custom sound design, dialogue editing, re-recording mixing and voiceover services. Clients and projects have ranged from International such as Primal Game Studio in Budapest, Hungary to National level companies and projects such as APTN, Netflix, Telus, NBC and CBC, to local organizations such as Descriptive Video Works editing and mixing Audio Description for major TV and streaming networks, Vancouver Coastal Health, BC Hydro, Tremain Media and Tourism Campbell River. 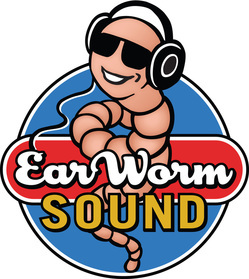 Since conception and implementation of EarWorm Sound, a diverse range of services have been provided by this unique, creatively innovative and truly visionary company. EarWorm Sound was awarded the 2017 Leo Award for Best Sound on the successful children’s Aboriginal Science show Coyote Science. EarWorm Sound was also nominated for Best Sound on the Aboriginal Documentary Series, Tribal Police Files. Entering its eighth year of business, EarWorm Sound continues to deliver high quality sound editing services to local, National and International clients and consistently seeks new partnerships and opportunities in advancing the production and technology in this niche market. Matthew Gionet, Owner with over 20 years in audio post production, is a current and long standing Director of the Creative Industries Council of Campbell River, a 2017/2018 Nominee for Excellence in Innovation and Technology with the Campbell River Chamber of Commerce, a former finalist for the Mistic Innovation Awards for Innovative businesses, standing member of Field and Post, and a member of the Vancouver Post Alliance.